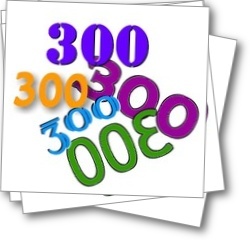 Is reaching the 400 Blog Follower Milestone like celebrating your 23rd or 36th Birthday? How? In both you are moving on up, but there is nothing "magical" about the numbers. It seems only yesterday, I was hoping for double digits in the follower section. How many of you remember those early days when you had so few followers that you were embarrassed? You thought, who would want to follow my blog? All they have to do is look over and see that I have only three followers and they flee to the next blog. Why? Because who wants to read something that is obviously so bad, that so far, only three or four other bloggers have taken pity on signed on to read? If we are honest, we will admit that when we are browsing or when we stumble upon a new blog, one of the first indicators that tells us if that blog is worth spending our limited and valuable time on is the number of followers. We often use this measurement before we even read the blog content. I was guilty as charged when I first started blogging, but I quickly learned that the number of followers is not always truly indicative of how awesome the blog is. But, hey, it is an easy way to make a fast decision. I get it. The longer I blogged the more I realized that the number of followers means nothing. How many followers added their name via Google Friend Connect to your blog, but never left even a single comment? Do you wonder if they even bothered to read your post? I don’t know about you, but I judge my blog’s success and or failure by the number of comments I receive far more than by the number of followers I have. 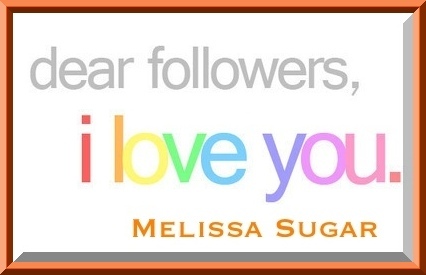 Having said that, I still love having a large number of followers. I guess I am just vain that way. I remember how lonely my blog and I felt before I reached the 100 follower milestone. Once I reached that magic number 100, (I don’t know why that seems to be the magic number, but it is), I felt like I was officially a member of the club. After careful consideration, Melissa Sugar, your membership to this most elite and prestigious writing and blogging community has been accepted. Pre 100- I guess I was exercising a trial membership or a guest membership while awaiting the mighty blog gods and goddesses and ninja’s to vote on my full membership. Post 100- I have been accepted. I caught a bid. I am no longer a pledge. Post 200- I now have the right to actually give others some blogging tips (not they are any better than the ones I had to share at 198 followers), but my status was upgraded. Post 300 and up is sort of that middle ground status. You are officially a member of the club, but you cannot yet hold office. Post 600, and 700- nothing too terribly new here. Post 800- another big one. Like birthdays. How are the number of followers even remotely similar to birthdays, you ask? Shall I break it down? Your 13th: Wow. 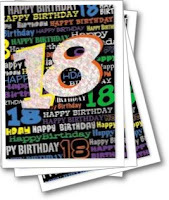 A teenager at last. Sweet sixteen (16) -Kissing time & getting your drivers license and maybe even a car. Then magic number 18- which was major in my day because in Louisiana, that was the legal drinking age. 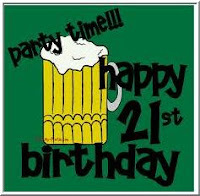 19th – Legal at Ole Miss and in Florida (back in my day). “Oh yes, we are sleeping in the same bedroom-we are adults!” - but, of course you say no such thing and you and your boyfriend retire to separate rooms and if my dad was there the room were very, very, very far apart. 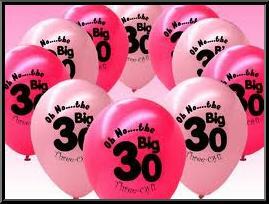 The big Three-0: 30- You are cool. You're a yuppy, making your own money, a career woman (or man) raising a family (or not). Either way, the big 3-OH is a milestone birthday. 35- Economy flops and you move back home with mom (lol) kidding-I hope. 1000- You made it baby. You could possible find yourself among the elite like Ninja Captain- Alex Cavanaugh, Mystery author, Clarissa Drapper, author and doctor,Lydia Kang and Query expert and reviewer, Matthew MacNish. All four of the above are either pushing 1000 or have exceeded it and they came to mind because they always return visits and comments. So while 400 is big in every-way, it's just not one of those magical numbers, you know, like your sweet 16 or your 21st.. It is not 100, 500, Or 1000. It is important to me though. Why? Because all of you are important to me. It is magical and special to me because of you-the people who signed up to read my blog thus increasing the number of followers I have. In honor of reaching 400 (here's hoping I get there-I am not quite there). I am hosting a prize give away. No talent needed. No writing required. I finally realized that raffle-copter is the way to go (hell it only took me 300+ followers and a few blogfest that were so unorganized I cried. Congratulations on getting 400 followers! You're right, it's not the followers as much as the comments. Those matter far more to me. Congratulations! I'm glad you met the goals you wanted. 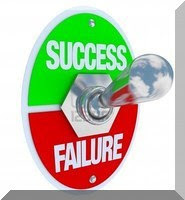 I don't measure the success of my blog by followers or comments because I created my blog for me. I didn't do much blog promoting, that's left for my books. Congrats on 400 followers! I have a habit of lurking, unfortunately, but I promise I've been lurking well 'round here. :-) Love the blog design, btw. Love these analogies. And yes, I do remember the days when I had like 17 followers. Thanks for offering to feature my book as part of your giveaway. 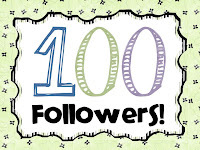 Would love to be part of your big 400 follower celebration. Congratulations! 400 is really amazing and I think you deserve every single follower. You are doing great, so just keep doing what you are doing and stay exactly who you are ( a great writer and blogger) and I am sure you will be reaching that 500 follower mark soon. Congrats! I remember when my blog stagnated around 35 followers and I rarely got comments. I can't even imagine hitting 200 or more! I don't really know how I measure my blog's success. Everything kinda comes together in some way. Just because I don't get comment doesn't mean I'm not being read (I know half the time I read blogs I like but can't think of anything to say in the comments, so I don't.) but also if you don't have many followers you're probably not being read that much. Hi, Melissa, CONGRATS! I totally agree that it is not the number of followers you have, but the comments that are left that measure a blogs success. Congratulations on your milestone! You are so right about the interaction and comments meaning a lot more than the number in a widget. I look forward to reading more. Thanks for stopping by my blog today. :) You are now in my Google Reader. love your timeline post! way to highlight the milestones! and congrats! (I’m going to extend it till July 13th.) See you there! Happy writing and yay on the 400 followers!! 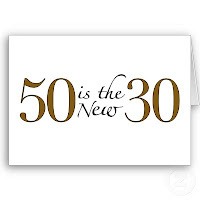 Well I have reached the 50 B-Day (and beyond!) 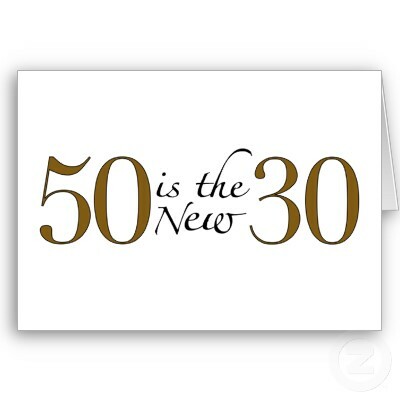 and it is NOT the new 30! If I tried to do today what I did at 30 I would end up in the hospital in traction! 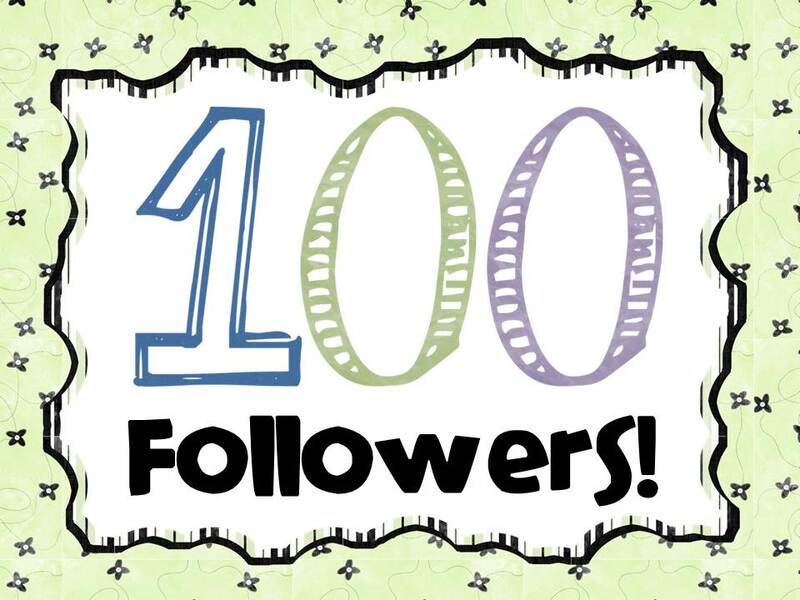 Congrats on your ever forward moving follower base. 400 is a big number! That's a lot of people! 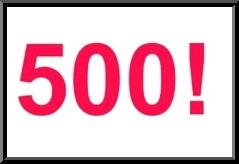 500 is my next milestone. I'm half way to "making it big!" LOL! Congrats, Melissa! 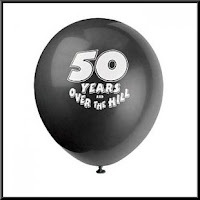 Congratulations on your milestone achievement! I can remember when I was struggling to reach 20 and was so excited when I passed that small number. Now for me it's also more about the comments. I rarely pay much attention to my follower count. If it fell below 1300 I guess I would, but as long as it keeps creeping upward that's fine. You'll be hitting 1000 before you know. I learned that from you and it is so true. Yea, it is kind of weird. I mean it really doesn't measure success, but we all like know that we do have followers. Thanks for sharing your take on it. You are very welcome. I remember those under 20 follower days and I remember how lonely it felt. I always had a handful of the same bloggers (who I still follow to this day) that commented and made me feel like I was part of a group and that made all the difference in the world. Thank you, Murees. You were one of my first followers and one of the reasons I never gave up. I really appreciate your support. Yup, that magic age of 40 really changes a lot of things. I agree with you, I often read blogs and don't comment. I am trying to change that and write something even if it is short because I know how good it makes me feel when people leave comments for me. I love reading your blog. I have posted so sporadically this summer and I have been slow to respond to comments that I feel like I have neglected my readers and my favorite blogs. I just hope that people realize that sometimes life (family-work etc.) really must take priority. Thank you for stopping by. It seems like when you stop counting- the numbers start multiplying . I am out of town with my kids- we are going cliff diving in he morning, but I hope to have my announcement by Wednesday. Sounds intriguing, Aidy. Thanks for mentioning it. I will be sure to check it out. I know what you mean. When we think that no one is reading, we become less inhibited. I am glad that it has given you the courage to prove to yourself and others how good your writing is. Confidence make all the difference in the word. Congratulations on your success and thank you for stopping by. 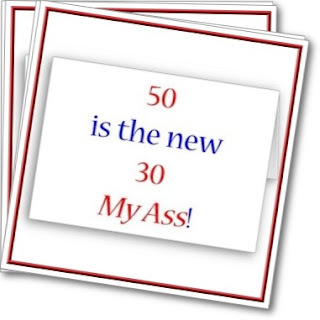 Who the hell came up with that- 50 is the new 30. 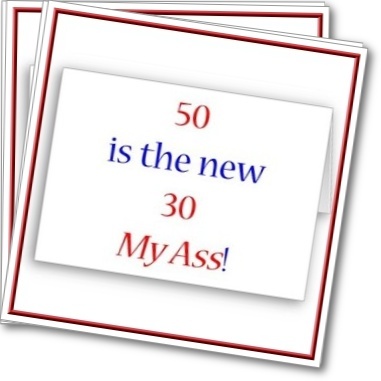 I know it has to be someone who is not yet 50. lol. You have one of the best blogs I know of. You may not have 20,00000 (LOL followers, but that just proves my point that the number of comments and readers far outweighs the number of followers, don't you think? I agree. Once you get over that under 25 hump then it is really so much more about the comments than the number of followers. Whatever you have done Arlee, your name is at the top of the list when I think of successful bloggers. Congrats on getting 400! Here's to the next 100s. I'm laughing because after 5 months of dedicated blogging, I have a total of 8 followers. Remember when Carrie Butler helped me build my blog and--after I'd gained 60 followers in a month--did the big reveal 3/1 for the Fired Up Blogfest? ...The same day Blogger deleted Follower on non-blogger blogs...and mine? It's a fantastic number, and I so agree that hitting a certain number gives you a greater feeling of authority to pass out advice etc. I was happy to reach 100 - but I know I'll probably never reach 400! Yay Melissa! I follow you in my Google Reader, but didn't realize I wasn't on the GFC. So there's one more now! :) You write a great blog so I'm sure your numbers will continue to climb quickly! You totally deserve all the followers you have. Good luck making it to 1000! Your blog is a total inspiration to me. In the same spirit, I laughed at your post! I am fast approaching that big 100. Only 9 to go:) Woot Woot! I followed you and moved you one step closer to your goal. YaY!!!! Just stopping by from the Buccaneer blogfest. 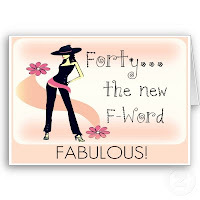 LOVE the look of your blog--I'm a new follower:-) Congrats on 400. I remember feeling bliss at the 100 mark at the start of this year. Somehow I'm almost at 1000 now, and funny, I don't think that's what it's about anymore, lol (for me anyways). I think when you stop caring about that and just be yourself is when you really gain your following---mabye b/c I didn't sound so desperate?? I agree it's more about getting those comments b/c it shows you have quality over quantity. Having a ton of people following you who don't give a crap about what you say isn't too flaterring. HA! Then again, maybe people are just too busy to comment sometimes. ~Cheers!